There’s a sweet spot in custom motorcycle building—a point where performance and beautiful aesthetics collide. 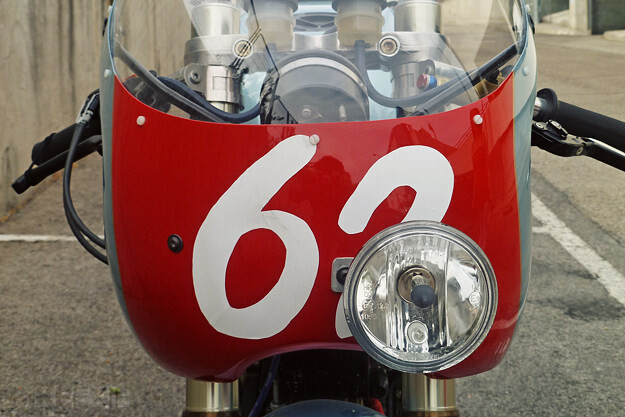 Spain’s Radical Ducati hit this spot time after time, and they’ve done it again with ‘Pantahstica’. 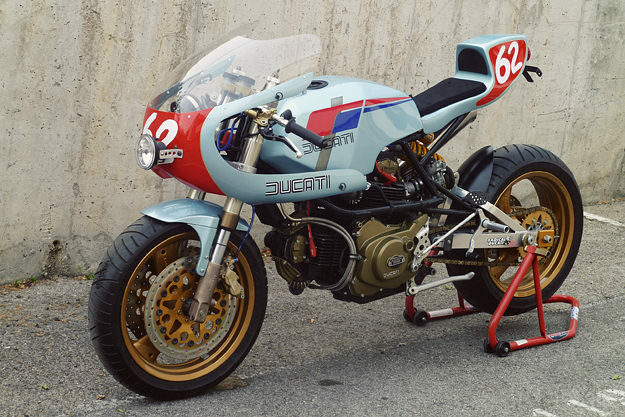 You could be forgiven for thinking it’s a Ducati Pantah, given the color scheme, but it’s actually based on a Cagiva Alazzurra, a mid-80s touring derivative of the Pantah. 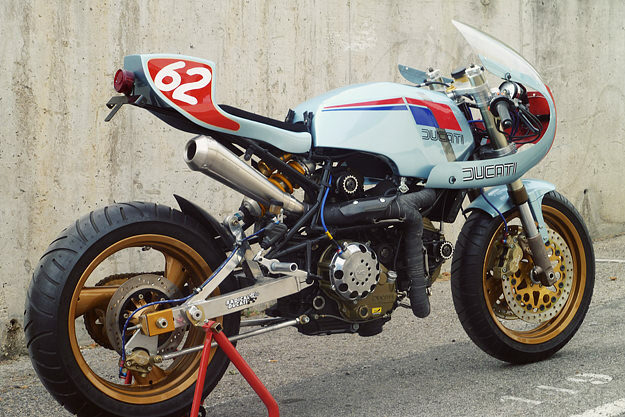 Radical Ducati tore the donor bike apart and effectively started afresh. The frame is completely new at the back, with a Verlicchi-type aluminum swingarm and Öhlins shock. Up front, Ducati 851 forks handle the suspension duties. The motor is a blueprinted 750 Paso, with ported heads, big valves, TT2 camshafts, Dell’Orto PHM 41 carburetors and a lightened flywheel. The oil radiator and wheels are from a Ducati Monster, and the braking system is mostly Brembo. 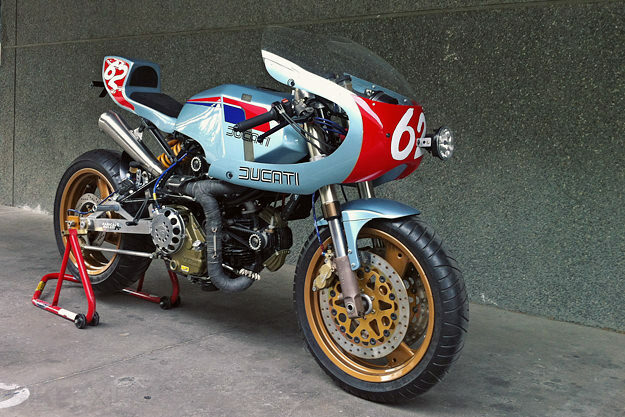 The bodywork is all custom-made, apart from the fairing, which is from a Ducati racing single. The extremely businesslike exhaust system is a Wolfman two-into-one, terminated with a Spark GP-style megaphone. Head over to the Radical Ducati Facebook page for more images of Pantahstica.